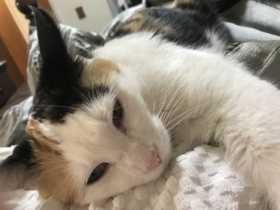 Cali is a smaller size female Calico cat. She was lost in O’Fallon, IL near the Dean’s Dairy. She is friendly and not typically an outside cat. She is microchipped.